The recently deceased new Hell-Dweller, Mr. Stephen Hawking, did not invent his pseudo-scientific theories (only theories) himself. Instead, everything he ever published was just recycling age-old Truths™. This information comes from us via direct communication from God. What is this direct communication from God? It is called the Bible! Let us look at the supposedly staggering scientific results by Mr. Hawking! Singularity comes from the word “singular” which comes from the word “single”. Something “single” lay in our distant past! And they called this a “major breakthrough”?! Mr. Hawking changed the word “God” into “singularity” and the world stood still. Now the Bible proves that this was no breakthrough. It was just simple plagiarism. What about the “black holes” that Mr. Hawking also invented? What are they? They are supposedly places of infinite mass and gravity from where nothing can escape? Is this new? A “black hole” is simply the bottomless pit, the prison for all things that oppose Christ. At some point someone must have mentioned the Bible to Mr. Hawking, as he suddenly changed his mind and came up with the idea that things can escape from “black holes”. Of course things can pop out of the bottomless pit. That is, again, a well-known fact! God will one day let Satan take a short vacation from this “black hole”. Also smoke and other nasty things (that Hawking called “radiation”) sometimes exit the “black holes”. Information then? Of course it can sometimes exit the bottomless pit, as the story of the rich man and Abraham teaches us. They were able to communicate between the “black hole” and Heaven. Here we can see information transmitted from the bottomless pit. Hawking’s seminal contributions continued through the 1980s. The theory of cosmic inflation holds that the fledgling universe went through a period of terrific expansion. 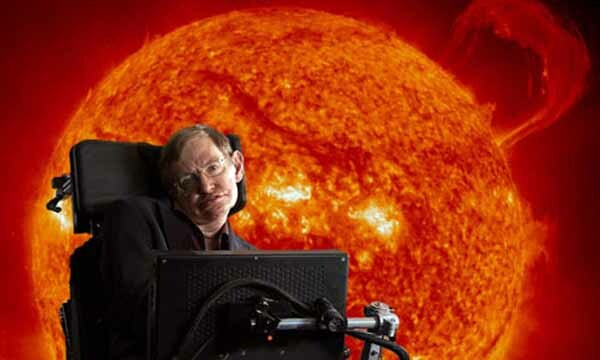 In 1982, Hawking was among the first to show how quantum fluctuations – tiny variations in the distribution of matter – might give rise through inflation to the spread of galaxies in the universe. The spreading Creation was announced by God eons ago, as we very well know! Here we have the “great discoveries” by Mr. Hawking. They were not original. They were simple pure Biblical data twisted into the atheist mindframe. God must have been furious. Still, he showed Mr. Hawking His merciful (Jonah 4:2) nature and gave him the great gift of Punishment by making Mr. Hawking lame. 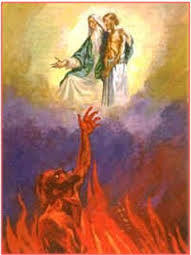 With this God made a statement: Repent. Mr. Hawking had the chance to concentrate on Spiritual contemplation, e.g., by listening to audiobooks of the Bible. He did not. Great gifts would have awaited him had he repented. 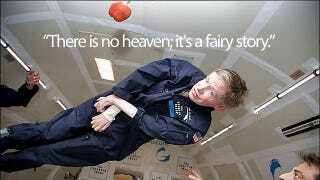 Mr. Hawking disregarded the Gift from God. Instead, he became the living example of another glorious verse. Job had it worse. God not only destroyed Job’s health but also his property (Job 1:19). But he got a better family and better children than the ones God killed. He trusted God. Mr. Hawking didn’t. He is now in Hell. He now knows all about the Singularity that is God that is the Trinity. He now knows what the Black Hole looks like from the inside, it is the Bottomless Pit. He now knows that you can transmit information from the “event horizon” as his “Hawking radiation” becomes futile cries for mercy that will echo for ever in the Great Gulf. We’ll be listen to his pleas one day in Heaven. He now knows what are the Events that shall take place in the ever-receding Horizon that is his eternal dwelling-place. Flames, torture, pain, pain, pain (Matthew 8:12). The scorching Sun is nothing compared to the high temperature of the Bottomless Pit. Do not plagiarize the Bible, children. Your fate could be as bad as Mr. Hawking’s!